Since 2012 Venezuela has undergone an economic war directed mostly by and from the U.S. that has targeted market prices of goods and services, in part, by the impact of unilateral economic sanctions, but also in large part by the manipulation of the exchange rate in the illegal parallel market that determined the prices of goods and services in Venezuela. The aim has been to disarticulate the economic and political stability of the Venezuelan constitutional order, within a plan that aims for regime change. The economic war has partially achieved the intended goal by creating shortages and disrupting production. The result has been a spiraling inflationary process, only kept at bay by the recent monetary measures adopted by the Maduro government. But in order to understand the importance of those monetary measures, it is first essential to understand the mechanism of the foreign induced inflationary process that had taken a grip on the Venezuelan economy. She backs up her conclusions with statistical analyses and econometric models to show how the “economic crisis” is induced by external factors with the participation of domestic economic forces. Inflation is basically a situation where there is a distortion of prices that affects the purchasing power of individuals. That is, prices rapidly go up while consumers’ purchasing power decreases. A high inflation rate is considered an anomaly in the economy. This anomaly is often caused by factors such as shortages of goods and services and/or high exchange rates resulting in a rise in prices. 1. There are relatively few private importers in Venezuela but they control an important economic sector. This implies that they have the power to fix prices differently from what demand and supply would dictate. 2. In Venezuela there has been a Currency Exchange Control since 2003 with a preferential U.S. dollar to the (Venezuelan currency) Bolivar exchange rate to favor imports. 3. Venezuela is a large importer of many products for direct consumption (20% of imports) and as inputs for national production (79% of imports); therefore market prices are determined largely by the value of the international currency. For example, if corn is purchased abroad at $1 a kilo, say, the retail price in Venezuela, under normal circumstances, should be $1 plus any other additional cost incurred by the importer/distributor/retailer, and his/her profit, in equivalent Venezuelan currency. The first feature of the Venezuelan economy has allowed importers to control the supply of products creating shortages and fixing higher prices. We can be sure that at a time of economic uncertainty they may be inclined to use the power to their advantage, financial or political. The second feature is intended to help society with affordable imports of essential goods that would be retailed at lower prices. The third feature makes it such that prices will be in turn determined by the exchange rate. Therefore, prices of goods and services can easily be manipulated by manipulating the exchange rate for financial or political gain. But another reality – outside Venezuela – is central to understanding how prices are pushed out of control. 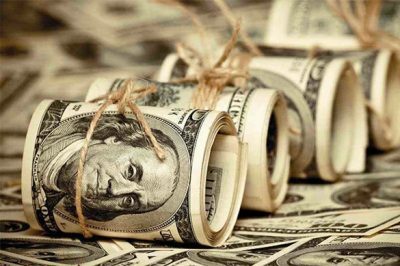 A parallel and illegal exchange rate “market” has been represented by a website identified as Dolar Today established in Florida that is overtly anti Venezuelan government. The site has been publishing subjective rates drastically devaluating the real market value of the Venezuelan currency. What makes this market illegal is that it is totally unregulated and it is driven by websites and social media, not to mention by its political intent. This might actually point out that it is the capitalist behavior, particularly when it is politically motivated, that has manufactured the economic crisis in Venezuela. Let’s say an importer wanted to buy 1,000 Kg of a certain product in the international market at a cost of US$ 10 per kilo. The importer would need to get US$ 10,000 from the Central Bank of Venezuela at the official preferential exchange rate of, say, BsF 10 for US$ 1, for a total of BsF 100,000 in Venezuelan currency (we use here the old currency, Bolivar Fuerte, used at the time reference in the example). Let’s say the importer uses a mark up of 100%, the price of the product in Venezuela should be the equivalent of US$ 20/Kg, that is BsF 200/Kg, using the same preferential rate of exchange (assuming no other costs for the sake of the example). 1. Reduce the supply in order to increase the price (this has explained in large part the shortages of certain essential products and the corresponding price increase). 2. Jack up the price by claiming a much higher parallel and illegal exchange rate posted in the website Dollar Today. If the website posted, for example, an exchange rate of BsF 100,000 for US$ 1, the speculative retail price of a kilogram of the product in question would be BsF 2 million (BsF 100,000 x US$ 20/Kg), instead of BsF 200 (BsF 10 x US$ 20/Kg). The example is simple but the price fixing based on the parallel exchange rate market is real and proven by Pasqualina Curcio in her book. The Maduro government has implemented remedial policies like the CLAP (Local Distribution and Production Committees) to offset shortages and price hikes. However, the Venezuelan government has been unable to stop the parallel market based in the U.S. This market has falsely and relentlessly devaluated the Venezuelan currency over time. In fact, just last September 7 Venezuela has taken a further step towards freeing up the exchange of its new Sovereign Bolivar (BsS) currency, with the government authorizing public and private firms and banks, as well as ordinary citizens, to trade in other currencies for the first time since 2003. This might have not been a coincidental reference to the IMF neoliberal measures being forced on the Mauricio Macri government in Argentina causing, by the way, high inflation and popular unrest. The centerpiece of the economic plan, however, has been the implementation of a drastic monetary reform in order to stop the rampant inflation that was facilitated by a financial system dependent on the U.S. dollar as a reference currency. The reform slashed five zeros to the old currency and linked the new BsS to the crypto currency Petro, in turn anchored to one of the largest of Venezuelan natural resources, oil. Currently, one Petro equals US$ 60, based on a barrel of Venezuelan crude, and that is equivalent to 3,600 BsS. More significant is that the minimum wage is now BsS 1,800, which increased dramatically the purchasing power of workers. Before the reform the minimum wage in today’s currency would have been BsS 51.96. There is no shortage of critics saying that the monetary reform will not work but I have yet to read any sound explanation for the criticism. Certainly, prices fixing and control remain an issue to watch carefully. The Venezuelan government and 35 companies, including Cargill, Polar and El Tunal (among the largest in the food sector), have agreed and made public the first 25 prices of items prioritized by the Venezuelan government that will be subject to regulation, under a scheme of sustainable prices and subject to modification. More items will be regulated in the near future. The new economic program will reduce or mitigate the temptation of illegal resale, contraband or hoarding, because the new price structure is now anchored to an international reference currency that cannot be manipulated. Although it is too soon to see any real impact, these new measures promise to put an end to inflation by regaining control of the economy that was left in the hands of a small powerful minority taking advantage of the possibilities of speculation and corruption allowed by the illegal currency exchange market. Internationally, the new economic plan has implicitly been endorsed by China. The online media outlet venezuelanalysis.com reported that Maduro’s visit to China at the beginning of September has resulted in Venezuela and China signing twenty-eight bilateral agreements, including a new US$ 5 billion Chinese loan and joint plans for a fourth satellite, in addition to strengthening political ties. Even further, Venezuela will now join China’s ambitious New Silk Road commercial plan, which is estimated to be worth US$ 900 billion. The project looks to connect Europe, Asia, and the Middle East in a monumental economic road and maritime chain that will include 60 countries, 75 percent of the world’s energy reserves, and 70 percent of its population. Venezuela is the second Latin American country to sign up for the project with the world largest oil reserves, following Uruguay earlier this year. China-Venezuela economic partnership builds confidence in the Maduro administration recent reforms. It is important to remember that classic economics talks about the determination of prices based on supply and demand. But in practice, geopolitical factors may have more relevance in determining prices. In its worse case, the situation occurs when undue control over the economy is exercised from another country for political reasons, to such an extent that speculation and abuses on the part of consumers and producers alike become the norm. Venezuela has a major challenge: the U.S. determination for regime change against all international covenants. The U.S. government is doing so by implementing unilateral punitive actions based on uncorroborated human rights violations, humanitarian crisis and migration crisis. All these accusations have been disproved at the highest international instances. The Organization of American States (OAS) overall has restrained itself from condemning Venezuela, except for its Secretary General that seems to be pursuing a personal vendetta with calls to military intervention in Venezuela, against the mandate required by his position. 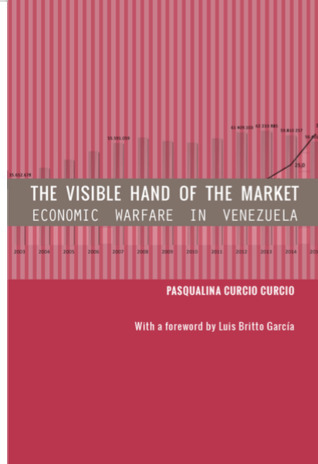 Venezuela has been subjected to an economic war well demonstrated by economist Pasqualina Curcio in her book, which is orchestrated outside the country and therefore out of its control. For instance, the currency values that are published daily in web pages and disseminated in social networks do not respond to any economic criteria or economic reality. They respond instead to a political intention seeking destabilization through the distortion of the markets and of the Venezuelan economy in general. The Maduro administration has responded to all economic impacts with policies that protect the population, as well as with unique programs that aim to a recovery and a prosperous future. A strict control of the implementation of the plan by all economic players is necessary. Even neoliberal policies enforce tight controls on the economy. The IMF and World Bank are typical examples. The real issue is to what ends the policies and controls are practiced and whom are they meant to benefit. More importantly, the Venezuelan government has constantly invited the private sector and the political opposition to partake of the new opportunities. However, there is also a clear message that the foreign “visible hand” of the market will meet the “hard hand” of the State if necessary. I have also benefitted from enlightening conversations on the topic with Wilfredo Perez Bianco, Consul General of the Bolivarian Republic of Venezuela in Vancouver, Canada, to whom I am very grateful.